Eseutil is a command line exchange server built-in utility that works with Extensible Storage Engine (ESE) , exchange database files(.edb) , streaming files(.stm), log files(.log) linked to an Information Store in storage group . Eseutil is also used for reducing size of database file on disk , copy files , check structure of database table , records , resolve integrity issues related to information store , copy large files efficiently , offline fragmentation . Exchange database is a repository of significant information . Exchange database gets corrupted sometimes due to several reasons such as hardware failure , dirty shut down , corruption of edb files , not enough space on exchange database . There are two types of corruption occur in MS Exchange Server database that is Physical and Logical . In this article I am describing how to repair exchange database using Eseutil . 2. Some issue in settings of the hardware components . 3. Database is in dirty shut down state . 4. Data storage repository corruption . 5. Failure of Microsoft Jet Database Engine . 1. Using Eseutil to repair Exchange database . 2. Run CHKDSK utility to check bad sectors of disk . 3. 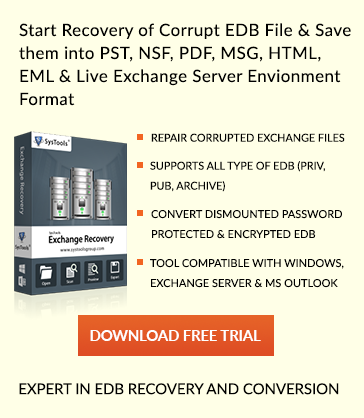 The EDB database should be dismounted from the Exchange server. 4. Dismount the data storage repository . Eseutil is a command line tool that works with Extensible Storage Engine (ESE) , exchange database files, streaming files, log files linked to an Information Store in storage group . Eseutil is also used for reducing size of database file on disk , copy files ,check structure of database table ,records and resolve integrity issues related to information store . 2. 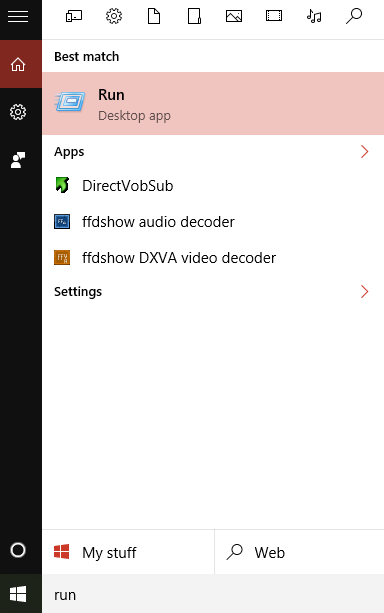 In the Run window type , ‘cmd’ and press Enter . 3. Go to default location of Eseutil tool as per Exchange server used . In case exchange server 2007 default location is : C:\Program Files\Exchsrvr\Bin . For soft recovery that is to bring the database in consistent state execute Eseutil /R . For hard recovery that is to repair complete corrupted exchange database execute command . Note: Eseutil repair exchange 2003 , 2007 and 2010 database . 1. Eseutil executes on dismounted exchange server . 2. It does not repair logically corrupted database . 3 . Risk of data loss . 4. Time consuming procedure . 5. Tool requires large amount of disk space to execute . Using Eseutil to repair exchange database method has a lot of disadvantages . Using Exchange Database Recovery Software is the best solution to recover corrupted exchange database . Utility preserve attachments , documents , meta data of emails such as “To”, “From” and other mail items stored in database . Tool recover exchange database 2010 /2013 /2016 and below versions . Demo version of the software is available to download free for users .